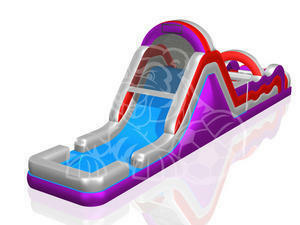 60L x 14W x 18H Obstacle Course w a 18 Double Lane Waterslide w/ pool. Hours of fun for kids of all ages. This is a hit at all events!